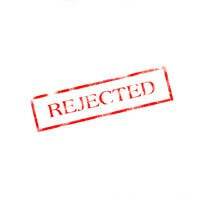 If you freelance long enough, you're bound to start receiving them - the dreaded rejection letters. While every author knows they'll come sooner or later, that realisation doesn't make it any easier when it happens. However, there are ways to turn the experience of having your work rejected into a learning process and not one that permanently halts your desire to create. First, understand that it's reasonable to feel a little "down" after having your work rejected by an editor, agent, or publisher. If you didn't undergo a jolt of disappointment, you wouldn't be human. Allow yourself to spend a few minutes mourning; take a break, walk around, get something to drink or eat, call a friend and complain, and then move on. One important caveat: unless you have a trusting, long-time, professional relationship with the editor or agent who turned you down, never, ever make a phone call or send an email questioning why your piece was rejected. You'll come across as amateurish and hot-headed, traits editors and agents do not appreciate or respect. Was this article or query actually suited for the publication? Did I do my homework before sending my article or query or did I assume I understood what the market wanted without doing any research? How can I make my article or query more relevant? Was I missing some integral information? You may just realise that you want to rework some element of your article or query letter after objectively analysing it. Consequently, it will be tighter and more likely to be accepted the next time you send it out for consideration. Just because one newspaper, magazine, or publisher turned down your article or query, it doesn't mean your piece was terrible. It just means it wasn't right for that publication or organisation. At this point, it greatly behooves you to immediately send out your work to another potential buyer rather than assuming that you'll never sell it. After all, chances are that someone, somewhere, will be interested in your work. But you'll never know until you ask. Once you've accepted the reality of getting a rejection, it's time to tackle something else. If you have other assignments to work on, dive into them passionately and vigorously. Should you have nothing else in the hopper, get cracking on some query letters. Don't sit around for a long period of time; after all, the sooner you put yourself "out there" again, the sooner an acceptance will come your way. Shredding the rejection slips and putting them in the kitty litter box. Papering the office wall with rejection notices. Allowing kids to color on them and turn them into "art". No matter what you do with yours, remember that every "no" gets you one step closer to that big "yes". Truly, without the "lows" of receiving rejections, you'd never be able to experience the "highs" of getting acceptance phone calls and emails. Enjoy the process, even the painful parts; it's what freelancing is all about.